Earthworking is inextricably tied to harnessing the energetic exchange of water in the landscape quiet often in Permaculture. It also sets the framework for garden bed or food forest creation. The earthworks often involve machinery but ultimately the shovel and human hand finishes it off giving the necessary edge and permanence it deserves. Below shows this phenomena exactly as the beds had been created by machines to create a serpentine flow of water in a run, riffle, pool pattern. This flow was accompanied by a sinuous shape of raised beds following the path of the ditch created to channel and harvest the tremendous amount of seasonal water flow. 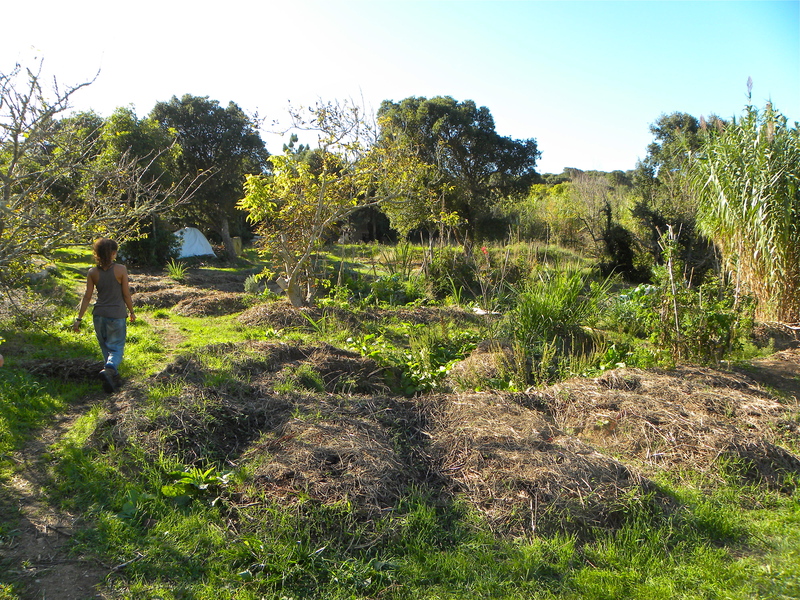 After the inherent re-evalatuion process that comes with Permaculture design and managemetn of systems, we reworked these beds to garner better access and create more beds space at the same time through creating keyhole garden beds. 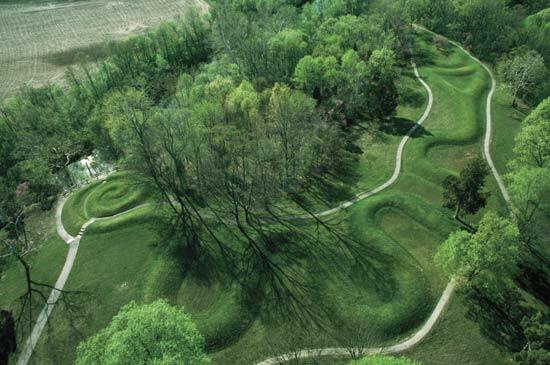 Serpent Mound. The later is 400 m (quarter mile) long earthwork that shows remarkable solar/lunar accuracy built within a meteor impact zone. 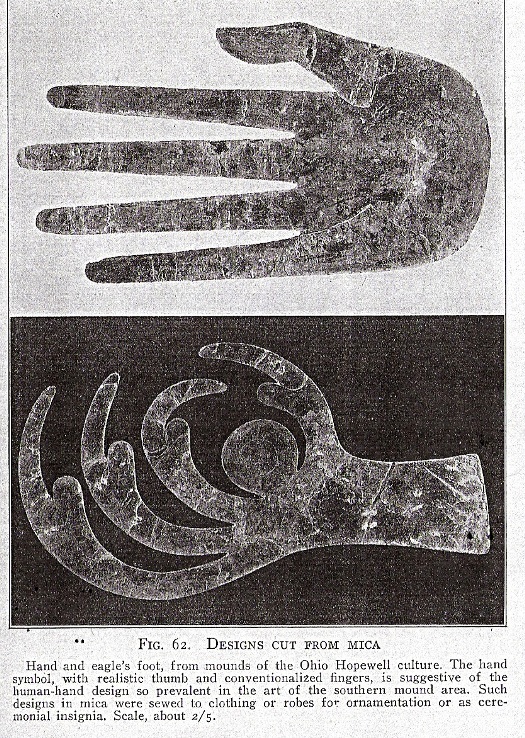 It shows patterns and once was hoe to sacred worship and honoring the rhythms of natural cycles. This is one of the greatest architectural achievement on planet earth and is just one in a series of extensive earthworks that the mound building woodlands culture of this area erected. 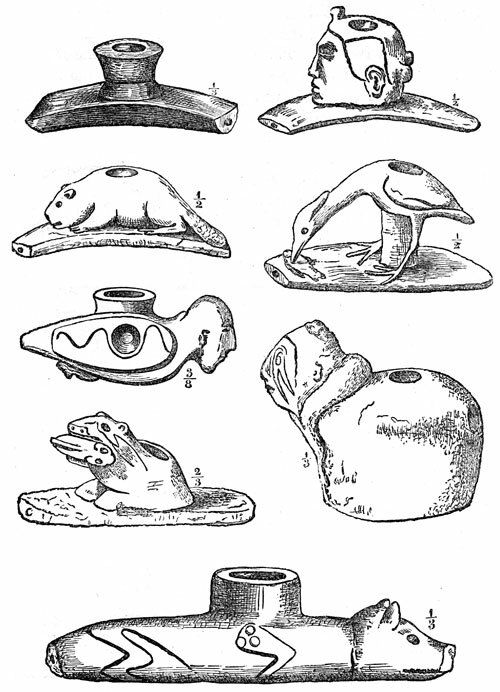 Inside artifacts of tremendous value were found like wood effigy pipes and extremely intricate and pinnacly amounted shaped copper. Working the Earth is a long and slow process that builds permanence. Fortunately we have fossil fuel driven machines that can do extensive earthworks in a small amount of time. Mollison points this to and recommends that with the remaining fossils fuels that we have, we should direct their use towards this means to an end. 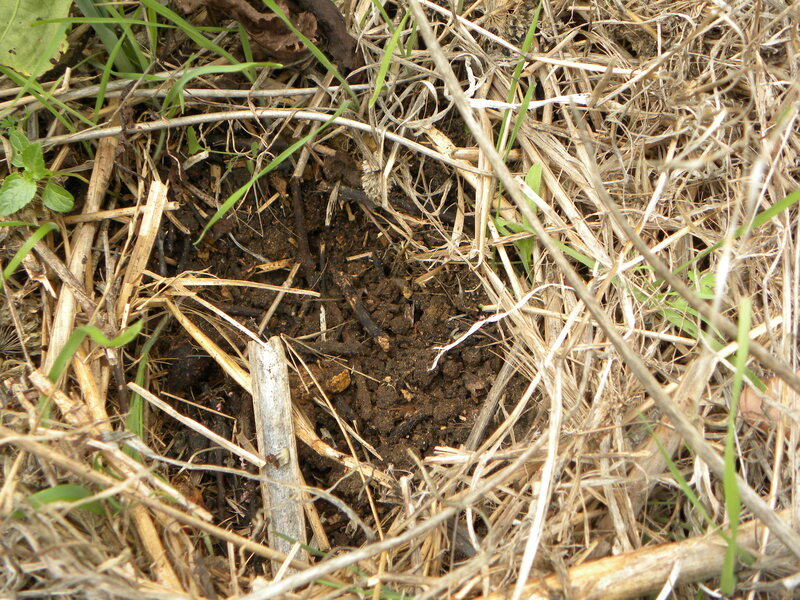 Below is a picture of soil built on another earthwork done in the coastal region of Sintra, Portugal. After 3 years of soil building on this contour terraced slope with machinery, humus rich soil has been produced. This shows when given a flat platform for cultivation, the advantageous earthworking on a slope has provided the base for water infiltration and stable ground or soil to be built.